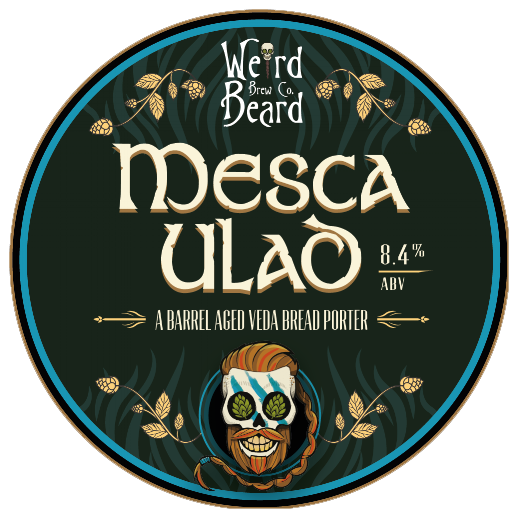 “Made by a team of Ulster Exiles at Weird Beard, this brew features Veda (Irish malted) bread and has been barrel aged in The Quiet Man Irish whiskey barrels. 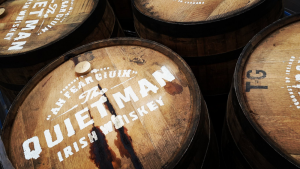 Expect sticky, date-y, malt flavours meets Irish dry porter paired with vanilla and oak sweetness from the barrel-aging. We bounced a few ideas for the name around. 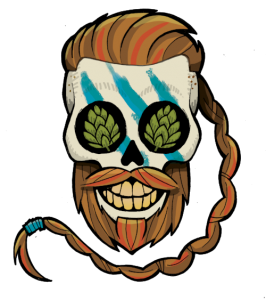 We thought of taking the piss out of the troubles and the sectarian divide in Northern Ireland, but Weird Beard had already done that with Suspect Device that they brewed with Farmageddon. The thought then came round to Ulster myths and ancient history. There is a story in the Ulster Cycle called Mesca Ulad. It is a story of Ulster warriors going to two feasts in one night, instead of choosing one, and ending up careering drunkenly around Ireland. The translation of Mesca Ulad is The Intoxication of the Ulstermen. We found this to be fairly apt.